You must make reservations at least 5 minutes in advance of the time at Silvio's Organic Pizzeria. There is street parking or a few parking structures around us that we offer parking validation for. We offer live music 4 days a week, anything from jazz to blues. We also have a swing dancing class that comes in on Wednesdays and a tango class that comes in on Fridays. We have a catering menu on our website, will cater just about any event, if you wish to have something other then what is on the catering menu just let us know and we could work something out. We also make cakes for birthdays, weddings, showers etc. 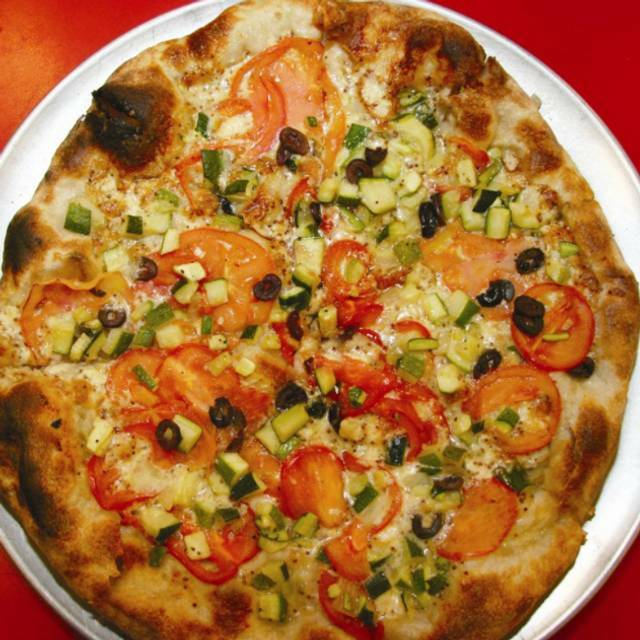 Silvio's Organic Pizzeria offers healthy dishes with a large flavor in Ann Arbor, Michigan. This establishment uses organic, locally-source ingredients in all dishes, including many vegan and gluten-free dishes. 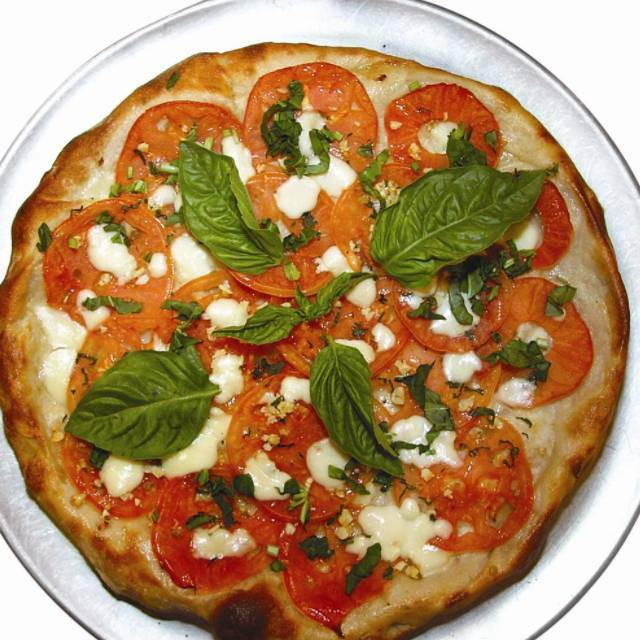 Silvio's Organic Pizzeria is open for lunch, dinner and late night, allowing you to stop in most anytime for a filling meal. 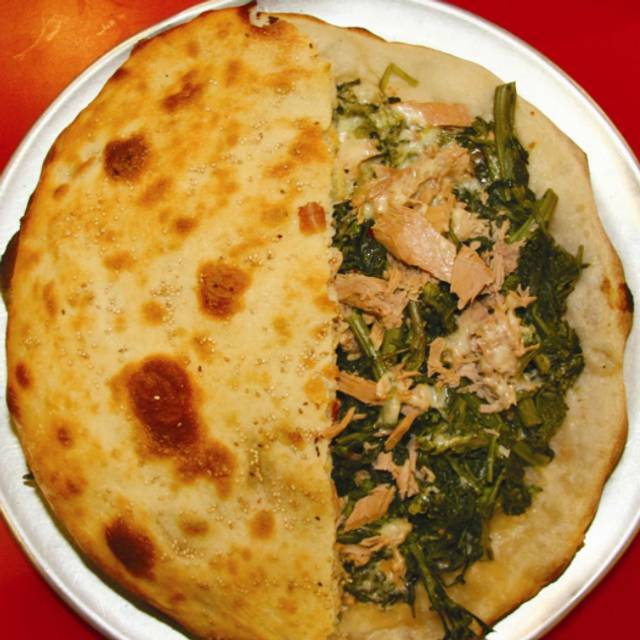 Silvio's Organic Pizzeria has a menu that contains handmade pasta, amazing pizza, daily made soups and much room. There is a full-service bar with a late night happy hour that allows guests to try cocktails and select beers for half price. A favorite item to try at this establishment is the truffle pizza with aged mozzarella. The food was good. The pizza crust is outstanding and the salads are plentiful. The service is very slow. WE were there on a Saturday night when a folk singer came on at 7:00 PM. The music was god but loud which made it a problem to talk to each other at our table of six. The homemade gnocchi for two was sooo good and the perfect size! Meat lasagna was really good.. sauces are really nice and flavorful. I wasn't a fan of truffle pizza, but it was different! Awesome staff! My wife and I were hoping for some great Italian food for our Valentine's dinner. The lasagne was $18 and was mediocre at best. My wife did not finish it or take it home. My calzone was very good but was the size of a large jalapeno popper. Maybe the pizza is good. The service was slow and we weren't told it was happy hour but figured it out ourselves. We tried somewhere new but will try somewhere else next time. We had to ask over and over again during dinner to get the salad which was ordered initially. When it finally arrived, it was dressed even though we specified dressing on the side. Never got bread and oil. Eggplant dish was served lukewarm. Noisy environment even when only half full of customers. Too pricey for what you get. Food was good but it took far to long to arrive. The appetizer alone took over 45 mins and the restaurant was not overly crowded when we went. Silvios desserts are awesome. Our friendly server let us know that if we hung out for a half hour that a ricotta cake would be fresh out of the oven- boy was it worth it! Food was nothing great. Gluten free pizza was not good at all. Hello, We are sorry to hear about your negative experience at Silvio's. We understand your frustration with our service and want to let you know it is something we are actively working on! Due to the overwhelming demand during restaurant week, we experience unacceptable wait times on food and service in general. We are currently putting in place new training measures to guarantee our staff can handle these busier times during the year, and ensure every customer receives the best service! Food excellent. But service as others have reported not even close to acceptable. I did not think it could possibly be that bad. But it was. Such a shame. Silvio is a talented chef with excellent flavors. Everything tasted amazing. But his disorganized way of running his business is so detrimental to the experience. We were a table of 6, there for 1 1/2 hours and only had our ordered food served in the last 10 minutes. Some food was served earlier and those diners started eating thinking the other 3 entrees would soon follow. One entree was never served and we took it in a box. (a salad). Server knew so little about the menu or even how a restaurant works. No drink menu until asked for it 3 times after being there for 20 minutes. The soup and appetizers ordered showed up after 45 minutes. 45 minutes to bring soup, (!) which was delicious but ungenerous for the price of the " bowl", not even being filled up. The stressed out staff and manager were sort of apologetic but have no ability to help except take 15% off the bill. Silvio controls all. And he was the only chef in the kitchen. Why doesn't he get help? Every person who ate there on Sat was unhappy with the wait and service. The place has so much potential. On a busy night with all 4 performances venues within walkable distance it is in a prime convenient location and could make so many patrons very happy. Alas, this place would only be enjoyable if you were by yourself (or with a loving and patient companion) with a good book(s), have all afternoon and evening to lounge, and bring your own appetizers. If you have tickets to something at Hill or another performance, forget it. Not even arriving extra early (like we did) will cut it. Not sure how this place survives. I did hear that the pizza was good and a little faster than the rest of the SLOW to come out menu. Poor management to have 1 server working on a Friday night during AA restaurant week. We waited 30 mins to order drinks and food. Left before even ordering. We enjoyed very well seasoned, fresh mushroom pasta and scrumptious desserts here. We highly recommend it. Everything was made in-house and it showed! Great place for a wonderful meal before performances at Hill Auditorium or the theaters. This is real food!! If you want something fast go elsewhere, this is the real slow food idea and it is lovingly crafted with delightful tastes that tickle your tastebuds. Silvio and his staff bring the old fashioned concept of taking your time for your meal. We always enjoy both the food and the wait staff. Great wine list! This was my third dinner at Silvio's. The food was great, as usual and the service was the best we've has there. It's a great place before a concert or movie. My family visited Silvio's after a November football game. We had a reservation, but when I walked in, it truly looked as if we didn't need one. I appreciated its location right on campus, as we were cold and tired from sitting in the stadium. When we walked in, no one greeted us, so it was confusing, and it seemed to be more of a restaurant that takes walk-ins, so we just sat down at one of the empty tables. We ordered pizza and a salad to share. I kid you not, we waited about an hour and a half or more for the two pizzas! I recall the salad taking its sweet time, too. They had some customers and a few larger tables, but the place was not full, even on a post-game night. Our waiter occasionally said he was sorry for the wait, but there was never an explanation or even an offer from him for some bread or crackers (before the salad arrived). We just twiddled our thumbs as our stomachs growled! I finally went to the counter to ask for at least some bread or a basket of crackers if they had any. I was given some. We were tired and hungry. We weren't drinking alcohol, as it was already late and we just weren't in the mood (at this point) to drink. I don't normally pass along negative reviews, as any place can have an "off" night, but this seemed unusual. I've been to many restaurants after games in Ann Arbor and most are hopping and on top of things. Also, our table was right by a set of sliding glass doors. They had these open the entire time, so every time a group walked through the exterior door, we had a rush of cold air wash over us. Nevertheless, I sat with my coat on as we waited and waited for our food. The pizza finally arrived with no explanation, and it didn't impress us, either. Sorry, Silvio's, it just wasn't your night, and our waiter didn't help much. There are so many great places in Ann Arbor (many of which we revisit), that I doubt I'll bother visiting this one, again. This was my second visit to Silvio’s. The first time, the service was incredibly slow and since we needed to get to a concert, that did not make for a relaxing dinner. For the second dinner there, we arrived a little earlier and just ordered a salad, so the food came more quickly. Everyone that I know who has been to Silvio’s says the service is always slow, so allow plenty of time if you need to get to a movie or a performance. I really like this restaurant, one of the best in town! The staff is really nice and the food is excellent!!! My first time there. I went for restaurant week and everything was delicious! The food is homemade and delicious. Silvio uses organic and local ingredients as much as possible which is outstanding! Excellent service and it is always a lovely touch when the owner/chef comes out to greet the patrons. The gluten free options were plentiful. The pizza sauce is fresh, fresh, fresh. So good! We arrived at Silvio’s at 7 pm on a Saturday night and told the harried server that we had 8 pm tickets at the Power Center. We asked him what we could get for food by around 7:25. He said that pizzas were running at 25 minutes. So we ordered a pizza and salad. At 7:20 we asked him for the salad. He finally brought the salad but no silverware and utensils. When we finally got the utensils the salad was actually good. Then at 7:40 we asked what was the story with the pizza. We said that we would have to leave. He asked if we would want the pizza boxed and we said no. (I am sure everyone at the Power Center would want to smell pizza during the performance! Plus we were hungry now!) Then another server came by and said that they would “adjust” the bill. At 7:45 we threw a $20 bill on the table and left. I have never done that before. But even that was too much for the salad, shoddy service and aggravation. Apparently only Silvio was in the kitchen that night. If the server had said at the beginning that entrees were taking more than 45 minutes we would have left and gone to Panera next door. Don’t go there if you are rushed. Not up to the challenge. 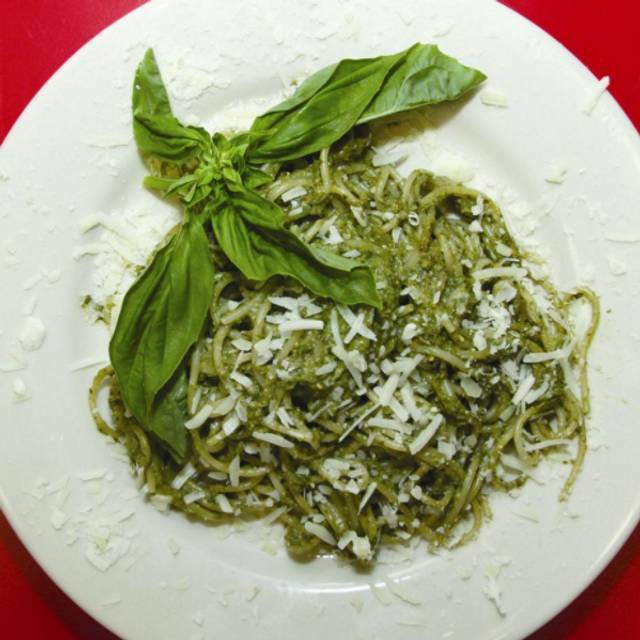 Silvio's was one of the first restaurants in Ann Arbor to offer delicious, varied, TRULY GLUTEN-FREE options. That was a rare thing in those days. 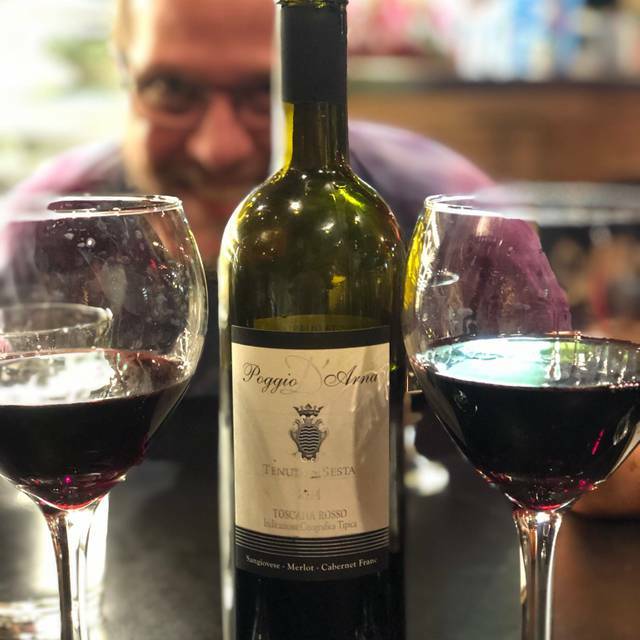 Over the years, the restaurant has remained a favorite of mine--a place where the food is safe, the entrees are creative and tasty, the ingredients are fresh, the service is friendly, the owner/chef (Silvio) is approachable and always ready to answer questions, and anyone with serious food sensitivities can leave their anxiety at the door. I was a bit nervous after reading some reviews on the service lately and was happy when our service was good...in the beginning. By dessert and check time our waiter was doing more bussing than waiting tables but it didn't diminish the overall experience too much. And the food was delicious! Authentic and homemade. I would visit again. We had a large group (13) and it took a little while to get our orders taken and the first round to drinks to come out. But, once things started coming out, everything was great. They were even kind enough to split up the check for us. And the food was delicious! I thought the food was outstanding. I had home made beef ravioli that were excellent and the sauce was very nice. My husband had a pizza which was also very , very good. The crust was exceptional and the toppings were tasty. I would recommend this restaurant for both lunch and dinner, but please understand that everything i made to order so it does take longer than in some other restaurants. Organic pizzas and pastas are fine,but when I ordered whole wheat linguine I was served w.w. Spaghetti without asking and I had trouble eating it because it was so oily. A very untalented bluegrass violin duo was both poor and loud. They detract from the meal. I had a 14 person reservation for my bday and everyone was 15 minutes late! Silvio's was gracious, did a great job serving a large party, and even split the bill for everyone! The pizza tasted great too! Awesome experience. The food was fresh and vibrant! The colors of the veggies looked like they were in HD! The summer stew is a must try! I had the greek salad. I ordered the half and I'm glad I did because it was massive. I can't imagine what the full looks like! We stumbled upon this place on our way back to Chicago from Detroit. Thanks opentable for listing this neighborhood GEM! I'm from Brooklyn, so my expectations for pizza are unreasonable. That being said, the pizza was very good. The dough and crust were chewy and tasty. I would definitely try this place out. The staff was friendly and helpful. We were there with our one year old and they were very accomadating. This was my second time at Silvio's. As with the first visit, the food was excellent. However, it took an hour to get our food and the wait staff rarely came around. Amazing pizza!! Loved the potato pizza. We tried it after seeing something similar on Food Networks "best thing I ever ate". Did not disappoint. Gluten free crust was amazing.